Tokyo is a popular destination amongst tourists with many sightseeing spots. You can also get a glimpse of the latest fashion and culture in this city. Tokyo also hosts various events and festivals. In this article, we’ll introduce recommended events and festivals that you should attend in March. You’ll be exposed to Japanese rituals, art, and landscapes! “Sensoji Honzon Gojigen Asakusa Jinja Miyamikoshi Hondo Doage Dosage” is a ritual that will be performed at Sensoji. The event celebrates the appearance of Kannon Bosatsu, who is the main subject of worship at Sensoji, on March 18, 628. An impressive omikoshi (portable shrine), easily weighing a ton, will be hoisted up and down. It will be a breathtaking sight. 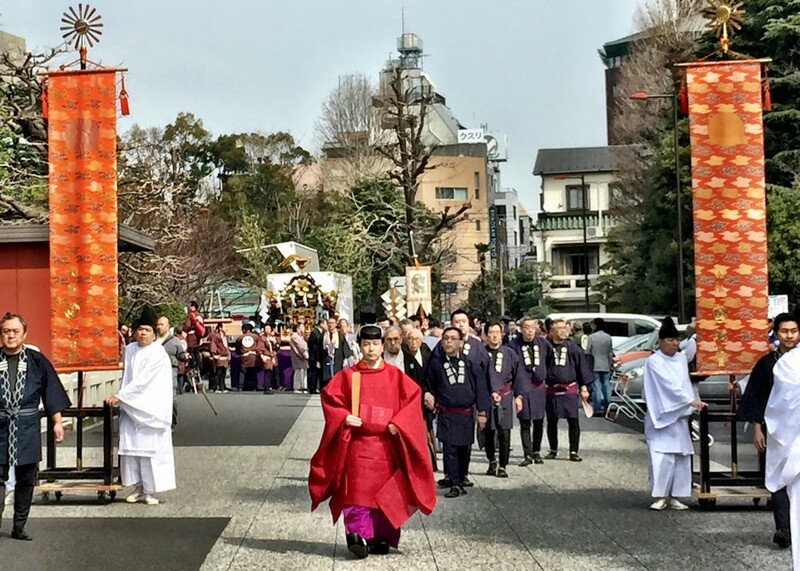 On the same day, the priests of Sensoji will proceed from Denpoin to the main hall, along the nakamise, and a performance featuring a golden dragon (an omen for Sensoji) will be performed in the grounds. Experience an event that is unique to Asakusa. Hiwatari Festival is an event held at Takao Yakuoin in Hachioji, Tokyo. During the annual event, practitioners of Shugendo (a syncretic religion), who are called yamabushi, fire walk after praying for safety of the household, traffic, and body. It’s the biggest event for practitioners of Takaosan Shugendo, featuring roaring fires and a brave ritual. Regular people can participate in the fire walk as well. The ritual will take place at the Kito-den Hall, which is located right by the Takao Sanguchi Station on the Keio Takao Line. There’s no limit on the number of participants and anyone can join, so take this opportunity to participate in a traditional Japanese ritual. Take the Takao Tozan Cable to Takaozan Station from Takao Sanguchi Station on Keio Takao Line. Walk 20 minutes from the station. 1 hour and 45 minutes from Tokyo Station on Chuo or Keio Takao Line. Kinryu-no-mai is a ritual to commemorate the appearance of Kanzeon Bosatsu, the principal subject of worship for Sensoji. According to legend, Kanzeon Bosatsu appeared from Miyatogawa (currently, Sumidagawa) on March 18, 628. The ritualistic dance was inspired by the sight of the golden dragon god that appeared with Kanzeon Bosatsu. The golden dragon is a protector of Buddhism and is an omen for Sensoji. The ritual was first performed in October 1958, when the main hall was constructed; a committee started the commemorative ritual as a way to pass down traditions. An elegant dance is performed by the golden dragon, which measures 15 meters and 80 kilograms, and the dance holds religious significance. The ritual is performed twice a year – once on March 18 for Gohonzon Jigen-e and on October 18 for Kiku-kuyo. A special exhibit at the Heiseikan of Tokyo National Museum showcasing the treasures of Ninna-ji, the head temple of Shingonshu Omuro-ha, and other Omuro-ha temples in Japan. Ninna-ji’s treasures include various paintings, texts, statues, and crafts that have been treasured by generations of the imperial family. Select artifacts from the vast collection will be displayed at the exhibit. It’s a rare opportunity to see national treasures, such as Amidara Nyoraizo (the principal subject of worship for Ninna-ji, when it was first established), Senjyu Kannon Bosatsuzo (displayed February 14 through March 11), and Sanjyujyosasshi (displayed January 16 through January 28), among other artifacts. Note that there will be changes in the displays on show, so make sure to check if there’s a certain treasure you want to see. Nakano Running Festival is a running event that takes runners through the new symbol of Nakano-ku, the Nakano Shiki-no-Mori Park. There are various distances and races you can join: 1,500 meters, 3,000 meters, 10 km, race ekiden, and enjoy ekiden. The course is relatively flat, so everyone can participate. While there are serious runners, there are plenty of other participants who just want to have fun or run in cosplay. There are about 5,000 participants. In addition to the race, there are many free attractions and events, so it’s fun to just watch. There will be live performances by celebrities, booths to experience dance and sports, and numerous food stalls, so you can enjoy the attractions in a festival-like ambiance. A cherry blossom festival held at Ueno Onshi Park. The historical cherry blossoms at Ueno Onshi Park were transplanted from Mount Yoshino in Nara Prefecture by Tenkai Sojo, who established Kanei-ji over 400 years ago. Ever since the cherry blossoms were transplanted, Ueno Park has been a renowned location for cherry blossoms. The park is said to have about 1,200 cherry trees and large crowds gather when they blossom. There are about 800 cherry trees, primarily consisting of the Yoshino cherry varietal, standing along the central path of the park; Ueno Park has been selected as one of the 100 best sites to view cherry blossoms in Japan. There are other attractions besides the flora. Many visitors come to attend the dance performance at Kiyomizudo or scour the open-air market for plants and antiques. At sundown, 1,000 lanterns will be lit and visitors can observe the cherry blossoms at night, which show a different, more magical face at night. Yoyogi Park is blessed with plenty of nature, despite being in a central location. The park is a famous location for cherry blossoms and has about 480 Yoshino cherry trees. In particular, the cherry orchard near the Shibuya gate turns a brilliant pink at full bloom and large crowds gather to catch a glimpse of the beautiful flowers. The nature-filled park is quiet and expansive. There are various cherry trees on show and the early-blooming type start budding as early as February. The highlight of the park is the central plaza area. You can stretch out on the turf and take a nap or eat a bento, while viewing the cherry blossoms. Listen carefully and you may also hear the chirruping of birds. The park has other seasonal flora like roses, in addition to cherry trees. There is a rose garden where you can see rare rose varietals. Chiyoda Cherry Festival is an annual event that takes place on Chidorigafuchi Ryokudo, a 700m walkway running along Chidorigafuchi, when the cherry trees are blossoming from late March to early April. Chidorigafuchi is one of the most famous spots for viewing cherry blossoms in Japan. During the festival, 260 trees, consisting of Yoshino and Oshima cherry varietals, will be lit up from sundown. Additionally, the popular boating area at the Chidorigafuchi moat will be open at night, meaning visitors can observe the magical cherry trees from the water at night. On April 1st and 2nd, there will be free buses that will tour the various spots for cherry blossoms; one is the Sakura Karugamo and another is the Marunouchi Shuttle Sakura Matsuri. The buses will take you around the Chiyoda Tourism Organization, National Theater, and National Museum of Modern Art, Tokyo, and Marunouchi, Kudanshita, Jinbocho, Akihabara, Nihonbashi and back to Marunouchi. 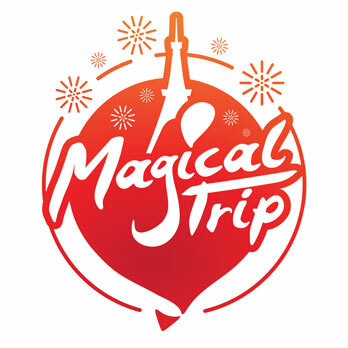 You’ll get to view the cherry blossoms while touring the various spots. Take in cherry blossoms from the road and water. The Snoopy Museum in Roppongi, Tokyo is the world’s first satellite location for the Schulz Museum, a holy grail for snoopy fans. The fall exhibit for the museum’s second year is titled “Love is Wonderful”. Love is the theme and the exhibit showcase rare original artwork, new footage, and a dramatic set to introduce various episodes featuring snoopy and the peanut gang that are focused on love. The Brown’s Store, located in the museum, is selling 600 pieces of original merchandise, including 200 new goods that were specially made for the exhibit. At Café Blanket, visitors can try dishes from the love-focused menu. Immerse yourself in the world of Snoopy! A kid’s motor show catering to children on their spring break will be held at Mega Web. Mega Web is a theme park that encourages people to “see, ride, and feel”. There are three facilities each with unique themes. One facility is the Toyota City Showcase, where 80 models from Toyota’s current lineup is displayed. Another is the History Garage, where visitors can learn and feel the history of cars. Historical cars from around the world, featuring Toyota and other brands, are on show. Finally, there is the Ride Studio, where kids without licenses can learn about traffic safety and the joy of driving. There are also workshops and concept cars, so you can learn about craftsmanship and cars in a fun way.